Sponsored by College Women's Club of Montclair. 26 Park Street, Montclair, NJ 07042. 9:30-11:45 am. 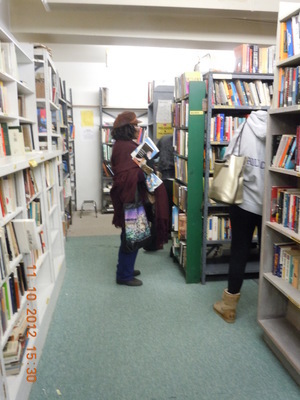 CWCM sponsors two used-book sales a year to generate College Scholarships for area girls. LIMITED book donations (12 bags OR boxes (10”x12”x15”) or a combination of both) accepted at Booksale Headquarters, 26 Park St. (opposite the YMCA), Montclair, NJ 07042, starting today and continuing weekly. Call on holiday weekends to be sure someone is there, or see our website for further information. For more info: cwcmontclair.com, cwcmontclair@yahoo.com, 973-783-7040. Free.